We love snow. That's why we moved to Green Valley Lake, CA. At 7,000 feet, some years this little hamlet gets 24 feet of snow. But not this year. It's been weeks and weeks since our last major precipitation. We're not alone. Major swaths of California, Utah, Nevada, Arizona, New Mexico and Texas are also suffering the same severe drought. In January, there was even a major forest fire on nearby Mt. Baldy -- unheard of in the middle of winter. Some meteorologists predict that due to climate change, this may be the scary new normal. What to do, what to do? Panic? Freak out? Neither of those are good options. As always, the only viable option is to just settle in and adapt to the new surroundings. And me? I'm back in shorts and sandals. Sigh. May as well enjoy it, right? Go to a place in nature where you can walk freely and alone, ideally some place where human impact is minimal—a forest, canyon, prairie, bog, mountain. Tell someone where you will be and how long you expect to be there. Take adequate water and clothing for the conditions. Begin your wandering by finding or creating a conscious threshold (perhaps an arched branch overhead or a narrow passage between rocks). Here offer a voiced prayer of your intention and desire for this time. Step across the threshold quite deliberately and, on this side of your sacred boundary, speak no words, but only expect! Let the land, plants, and creatures lead your feet and eyes. Let yourself be drawn, rather than walking with a destination or purpose in mind. If you are called to a particular place or thing, stop and be still, letting yourself be known and know, through silent communion with the Other. Before you leave, offer some gesture or token of gratitude for the gift the wild has given you. When it is time to return to the human world, find again your threshold and cross over. But now you have learned to expect God in all things. 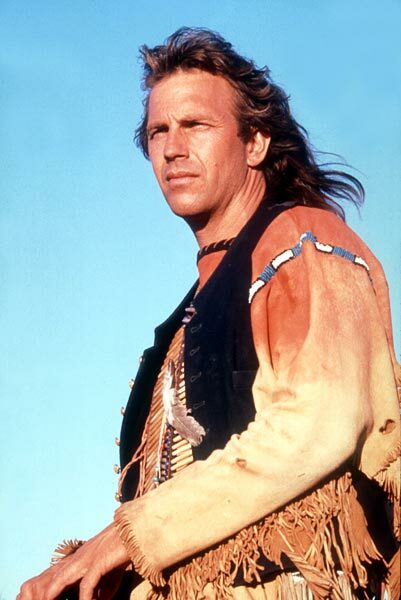 Last night Chris and I settled in and watched Kevin Costner's 1990 classic Dances with Wolves. Films like this, that are so iconic to those of us old enough to have seen them on the big screen, sometimes feel like they are beyond discussion. After all, like me, everyone has seen Dances with Wolves a couple a dozen times, right? Everyone knows it won all of the top Academy Awards in 1991, right? What's to discuss? But then I forget about the young people. My nieces and nephews coming of age. Kids -- this post is for YOU. 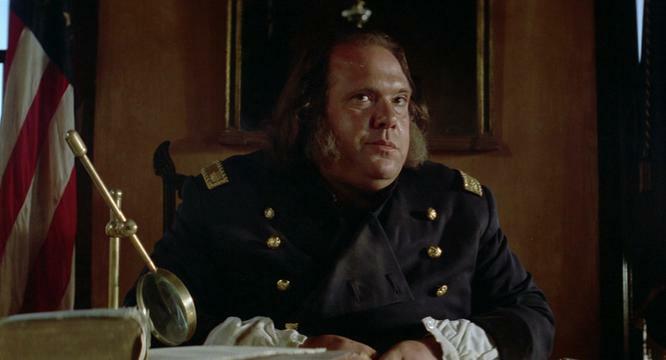 Dances with Wolves tells the story of a wounded and disillusioned Civil War soldier who gets sent to a deserted, delapidated fort deep into the frontier. Completely alone, he takes refuge in his journal. Slowly he begins connecting with the land, the animals and the sky around him. Inevitably, contact ensues with the Lakota Sioux, upon whose land the fort was built. Slowly, over time, the tribe and Lieutenant Dunbar learn to trust each other, and their lives entwine. Together they deal with the reality that the white man is coming. When Kicking Bird asks Dunbar "How many white men are coming?" Dunbar replies: "As many as the stars." 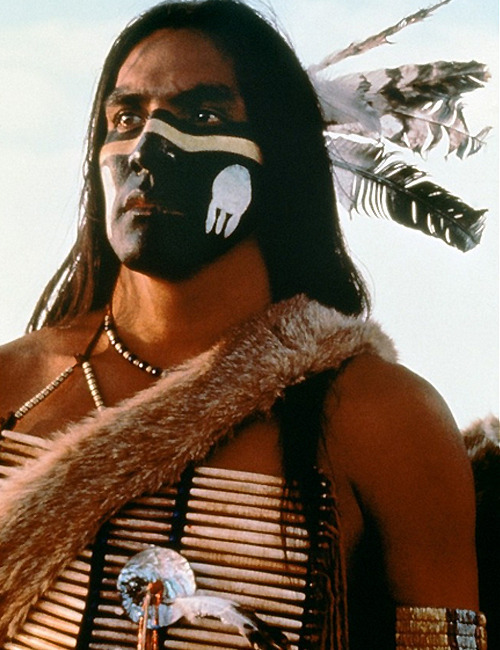 Rodney Grant is the volatile, passionate "Wind in his Hair"
Graham Greene is the wise, curious medicine man "Kicking Bird." 24 years later, a real tribute to this film is the fact that it does not feel in the slightest bit dated. But other than that, it still feels FRESH today. Also, it's completely original. There is no other film in my memory that captures this place and time in such a realistic, unpretentious way. It's really a knockout. Additionally, even though this is, of course, a "western" -- it doesn't FEEL like a western. It just feels like a powerful, funny, endearing, heartbreaking, beautiful story. And yes, there is romance. The tribe adopted a young white girl whose family was killed by the enemy Pawnee tribe when she was 9 years old. Now a grown woman, she acts as a translator for Lieutenant Dunbar and the tribe elders. Mary McDonnell as "Stands with a Fist"
In addition to awe-inspiring cinematography, there are humorous moments as well. Yes, the American soldiers Dunbar must content with are portrayed pretty much across the board as buffoons or heartless killers, but there are standouts. 5 minute cameo as psychotic, alcoholic Major Fambrough. Comparisons to Dances have been made to the film Avatar, and I see the connection -- especially in 2014. We as Americans have no choice but to deal with the reality and human repercussions of our actions on this continent. The blood is not just on our hands -- it's in our hair and it's caked under our fingernails. And it's baked into the land. Dances with Wolves is playing on Netflix streaming until 3/1, when it goes away. Yes, it comes on TNT every couple of years, chopped up by so many commercials that it's enough to break your heart. See it while you can as God intended: in one piece. My mom called me yesterday in tears. 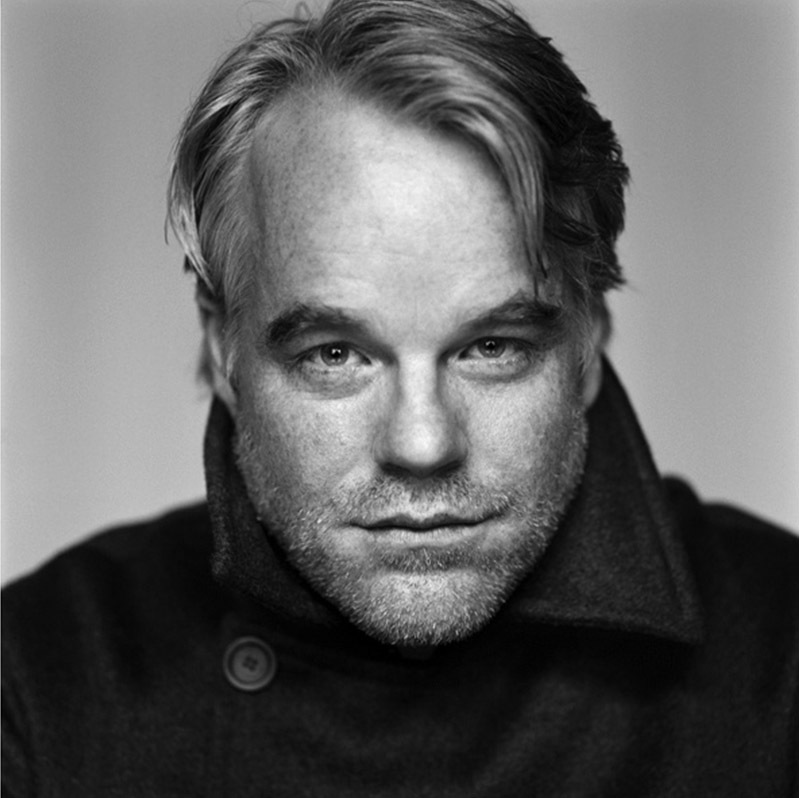 She was distraught and heartbroken over the death of actor Philip Seymour Hoffman at age 46. Philip and his girlfriend had 3 children together. Evidently she asked him to move out 3 months ago as a tough love gesture since he was using heroin. He was found dead and alone in his bathroom with the needle still in his arm. We civilians love celebrities for different reasons. Watching them act out and tell stories on the screen, they help lead us (and don't fool yourself -- for better or worse, they do lead us) through our lives: advising us, inspiring us, often simply distracting us, and sometimes, they are cautionary tales. The stock always goes up on any upcoming film when one knows that Philip Seymour Hoffman is in the cast. He's earned the reputation of an actor who chooses only the best scripts and the most accomplished directors. Regardless, he's no Tom Hanks or Reese Witherspoon. America's Sweetheart he's not. I was sort of purplexed by the outpouring of love for the man. Frankly, many of the characters he's played are far from likeable. 1999's "The Talented Mr. Ripley (image from E! Online)." But he could also be savagely, brilliantly funny. take-no-prisoners, genius, multi-lingual CIA agent Gus Avrakotos. OK, so he was a brilliant actor. So, why did we love him so? I've thought about it, and I think his death strikes such a deep cord because Philip, more than any other actor I can remember (ever) bravely showed his brokenness onscreen. His pain, his sorrows, his losses -- well, they were written all over his face. Overweight, chain-smoking, he appeared a good 20 years older than his 46 years at his death. But he wasn't interested in fooling everyone into thinking what a cool, together guy he was. He looked us right in the eye through his characters and shared his pain. His brokenness was on display for all to see. He was so freaking honest in his roles. It was shocking sometimes, truly, as in "Boogie Nights" and "Before the Devil Knows Your Dead" -- to the point that you almost had to look away. He reached out to us across the screen and shared it all with us, without shame. Yet he never took the easy route by making himself the clown or the victim. We knew he was brilliant and that he had been around the block a few times, and life was taking a toll. He was simply, completely real. How could we not love him for that? Such honesty and lack of guile in show business is a rare, rare jewel. So, I believe, that's why we mourn. In an era when nearly every word that comes out of actors mouths is pre-screened, buffed and shined by publicists and stylists for our viewing protection, he said screw it and told the truth with his eyes, his words, his face, and even his frumpy body. These would be reason enough to love him, but there was one last thing: his playfulness. He didn't show it often in his roles, but on the rare occasion when this big, broken man shared his impish grin with us, we had to smile too. It gave us hope. As long as Philip found the courage to laugh, then we knew we could find a way to laugh with him -- we merely had to dig deep to find it. He was, in a word, brave. And that's not a word I expect to apply to a Hollywood celebrity again anytime soon. So, when we heard that this broken man whom we had grown to know and care for had died, alone and with a needle in his arm, mourning the absence of his 3 young children as only a hopeless, relapsed heroin addict can -- it's unbearably heartbreaking.